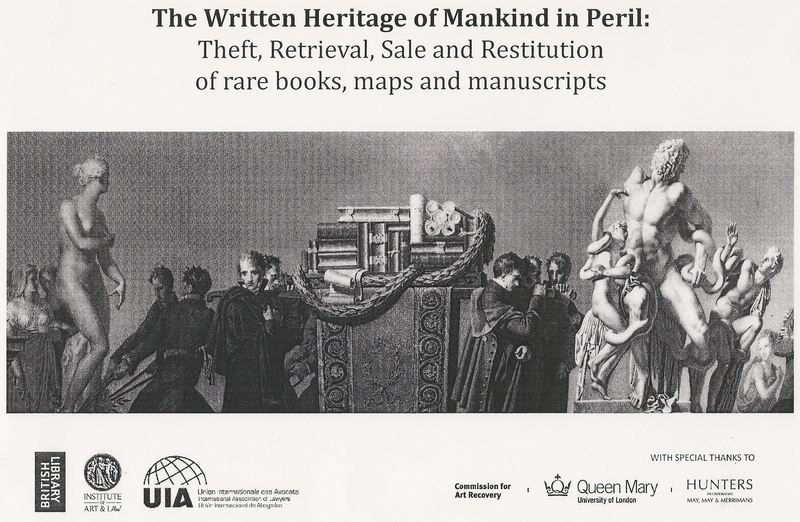 A while back in June 2015 I attended a conference called The Written Heritage of Mankind in Peril at the British Library convened by the library, the Institute of Art and Law, the Union Internationale des Avocates, the Commission for Art Recovery, Hunters Solicitors and the Centre for Commercial Law Studies at Queen Mary University of London. The aim of the day was to focus professional minds on the thefts and trade of rare books and manuscripts; as such many of the speakers and attendees represented the great and the good of the international antiquarian book world, as well as from crime prevention, law and national libraries. I felt a little out of my depths, but I went with the intention of increasing my understanding of patterns of thefts, hoarding and the lifecycles of books and documents which have become “objects of desire”. What hadn’t been an intention was that it would prompt me to consider a phenomenon which was touched on at a Material Witness workshop I had attended at Lambeth Palace Library a couple of months before (on the material culture of libraries) and also at the British Museums’ Working with Museum Archives workshop (see my earlier post). 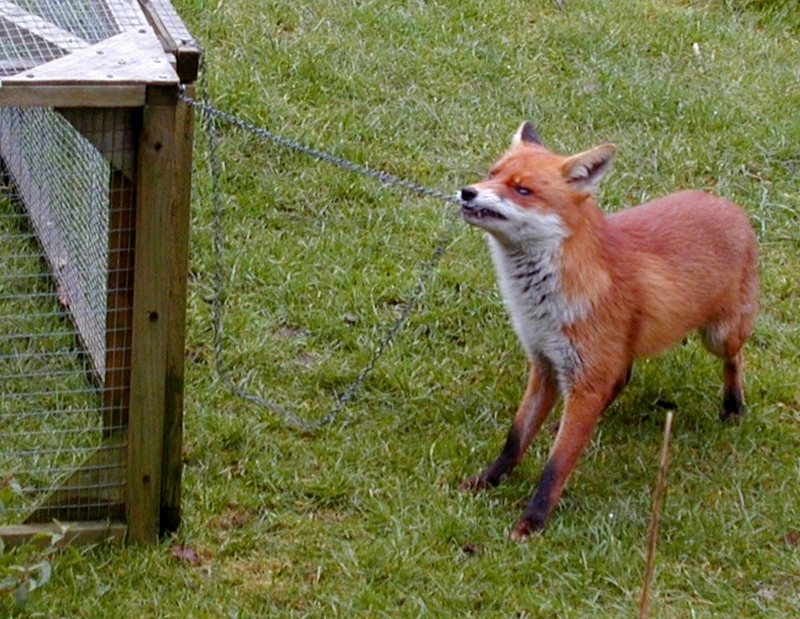 As the day unfolded I hastily scribbled in my note book “like a fox in the hen house”, but this analogy is already out there – indeed the painting Fox in a chicken yard by Jean-Baptiste Huet was later shown by a speaker. My note was referring to the emergent pattern of thefts from libraries by internal and trusted members of staff; extraordinary tales not just in terms of the criminal act and detection, but in terms of the gaping intellectual and physical holes left behind and the terrible loss of trust. Returning again to my blog on the British Museum, it is also around the psyche of the act; the sheer shameless audacity of these often quiet, highly respected individuals who were desecrating their own collections. In September 2003 the Royal Library received a phone call from a book specialist at Christie’s in London who had been instructed to sell a rare copy of a 1517 Italian book. Her pre-auction investigation had established that only two copies of this book were known to exist – one incomplete copy in the National Library of Spain, and one complete copy in The Royal Library in Copenhagen. This puzzled her – had she taken receipt of a historic sensation or a stolen book? The Royal Library informed her that the book was indeed theirs and had been recorded as missing from the collections since February 1979 during an audit process instigated by the library’s new security board – a board set up in response to the loss of a number of rare books from their foreign collections. At the time the police were notified and discrete enquiries were made; however, for thirty years neither the thief nor the books could be traced. Although it was established that the book was stolen, Christies continued to protect the seller’s identity until they were finally over-ruled by a court order, and the trail led the Danish Police to a woman called Silke Albrecht. She lived with a man called Thomas Møller-Kristensen – a surname familiar to the library. Frede Møller-Kristensen had been employed by them from 1967 to 2000; indeed from 1969 to 1987 he had been Head of the Oriental Department. Although Frede Møller-Kristensen had retired from the library in 2000 and died in January 2003, he had a son called Thomas and Thomas had married Silke Albrecht. Approximately 1,500 rare books from the library were found in the home of Frede Møller-Kristensen’s widow; another five rare books were found at Silke and Thomas’ home and a further four at the home of Silke’s mother. In May 2004 four people were sentenced. Christies returned a total of 16 rare books to the library. In 2011 Marino Massimo De Caro, a self-taught bibliophile, was appointed as the new director of the library. Although the library had been closed for a number of years, hearing rumours that it was in trouble, Professor Tomaso Montanari secured a visit in the spring of 2012. He was shocked by what he found: “there was a dog roaming around the library with a bone in its mouth! There were books spread around everywhere – on the floor, on the stairs, on tables. There was garbage – soda cans and papers – on the floor. It was total confusion, a situation of major decay“. 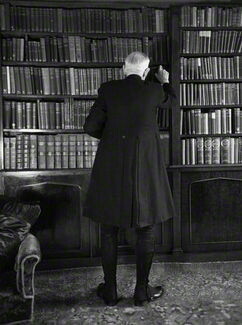 During his visit a member of staff confided to him that the Director was stealing from the library. Professor Montanari wrote an article for the Il Fatto Quotidiano newspaper in which he stated that having De Caro as librarian was like “having an arsonist in charge of a forest“. The day the article was published, De Caro contacted Professor Montanari and threatened him – Montanari called the police. 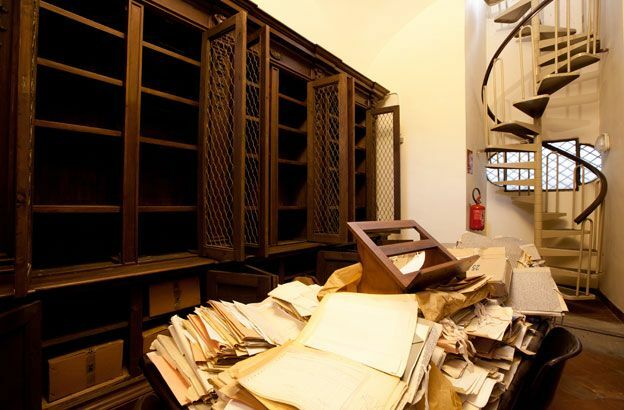 The library was closed by the Public Prosecutor, De Caro was suspended and subsequently 1,000 rare books were found at his home in Verona – he claimed that he had intended to sell them to raise money to maintain the library. It became evident that De Caro had also plundered other libraries in Italy including Montecassino, Naples Municipal Library, Ministry of Agriculture Library, a seminary in Padua and the Ximines Observatory Library in Florence. It is believed that he may have been responsible for the theft of 4,000 rare books – some have since been recovered in Munich, London, New York and Tokyo. In 2013 German police arrested a book dealer in Munich, Herbert Schauer of the auction house, Zisska & Schauer on charges of complicity in receiving and offering at auction 543 books from the Girolamini. Schauer was extradited to Italy and sentenced to 5 years in prison; the auction house renamed itself Zisska & Lacher. De Caro was sentenced to 7 years in prison; 13 other people were accused of conspiracy included the library curator. Losses from the Royal Library came to light in 2005 when a request to view an early map revealed it was missing. A low-profile investigation was commenced during which a further 56 rare books were identified as missing; in addition it was found that records had been altered to try to conceal the thefts. Suspicions turned to Anders Burius, the Chief of the Royal Library’s Manuscript Department, who was the only person with the necessary level of access. Burius had been appointed in 1995; his flamboyant life-style and love of Armani suits, Cuban cigars and Mercedes Benzes had not gone unnoticed by staff. Confronted by management, Burius confessed to having stolen 62 rare books over a period of ten years. Burius was arrested, but upon his temporary release from custody committed suicide by severing the gas line to his kitchen stove, which then ignited and caused a major explosion in the centre of Stockholm. The investigation of the theft revealed that Burius, having removed all obvious marks from the books, consigned or sold them to Ketterer Kunst, an auction house in Germany, using the alias of Charles Fields of Denmark. His contact at Ketterer, Christoph Calaminus, checked neither his identity nor the books’ provenance, and all transactions were conducted in cash. Between 1995 and 2004 Ketterer accepted small batches of books from Burius twice a year. The Royal Library have published a list of the missing books – to date 7 of the 62 have been returned. In 2003 the museum discovered that 47 illustrations had been cut out of a rare book on Napoleon. Staff were interviewed and it was identified that Alexander Polman, a curator, had been stealing hundreds of books and thousands of prints from the museum for at least seven years and selling them to a dealer in Leiden. Some of the items were donations that Polman had received on behalf of the museum and then pocketed, while others he simply took from the archives and put in his car, having arrived at work before anyone else. With access to the cataloguing system and the authority to alter it, he was able to cover his tracks. Polman served a year and a half in prison for the crime. Losses of rare manuscripts were first noted during an inventory in 1998, and it has subsequently emerged that the library may have lost around 30,000 books and manuscripts, nearly 2,000 considered to be of “exceptional historical value”. A long-time curator of manuscripts, Michel Garel, was named in connection with the theft of 25 manuscripts and 121 other documents and was suspended and placed under formal investigation. Garel admitted to stealing and selling one manuscript but later retracted his confession. The palace’s staff realised as long ago as 1975 that there were gaps on the library’s shelves, estimating the number to be around 60 volumes; it was difficult to ascertain the exact figure as the corresponding catalogue cards couldn’t be found and the collection remained in a certain amount of disarray following a direct bomb hit during the second world war. The police and the book trade were informed, but the trail ran cold. In February 2011, the palace’s newly appointed librarian, Giles Mandelbrot, was handed a sealed envelope by a solicitor who was winding up the estate of a recently deceased client. The client had left instructions that the envelope be passed to the library and it contained a confession to thefts of books from the library nearly 40 years earlier. The client, who has always remained anonymous, had been a “low level employee at the library” during the 1970s. Following instructions in the letter staff at the library visited the dead man’s house and found in the attic not 60 but around 1,400 rare books, many from the libraries of the Elizabethan and Jacobean archbishops John Whitgift, Richard Bancroft and George Abbot dating back to 1610. With the books were three drawers of catalogue cards showing that even more books were missing (perhaps sold). In an attempt to remove proof of ownership the thief had defaced many of the books by removing provenance information and cutting out embossed crests from the leather bindings. The palace library are still working to restore these books. To avoid this post becoming a repetitive compendium of book crime, as a novice to the history of books I thought it would be useful to think about their cultural vulnerabilities. Disappointingly for my research, what wasn’t evident was a neat pattern of bibliomaniacs hoarding to satisfy their own secret agendas; it is difficult to say whether Frede Møller-Kristensen was hoarding – a hoard his family subsequently stumbled across following his death – or whether he had intended his family to profit from the sale of the books; it is certainly more likely that the uncovered hoard from Lambeth Palace Library was actually a consignment waiting for sale and that the thief had perhaps lost his nerve and stopped. In libraries books are treated primarily as sources of information for research, secondly as artefacts, and their accessibility is their very point of vulnerability. They may be stored closely together on multiple shelving making it difficult to spot gaps and, crucially, storage (away from public gaze) is the norm. Each book is a complex and compound artefact with a mitotic potential to create any number of artefacts, and it is even harder to spot losses from within each book (in the event of pages being cut out). Early printed books are not unique and unless a library has been vigilant in recording identifying features it can be difficult to prove that a book, or part of a book, appearing for auction once belonged to a library. Compared to many other artefacts, books are designed to be handled and used; they may be robust, compact, easily packed and stowed away. The value of antiquarian books continues to rise and they have become an investment commodity: in 2013 a book of Psalms sold for $14.2m; last year the Rothschild manuscript prayer book sold for $13.6m. 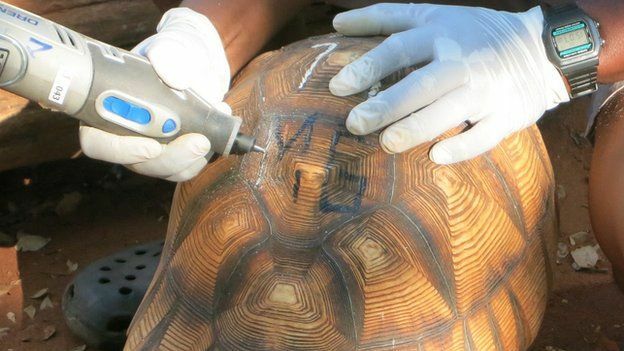 Panels at the conference stressed that (like the endangered Ploughshare Tortoise), a library’s last resort tactic was to render these books worthless to thieves and traceable by stamping every page. 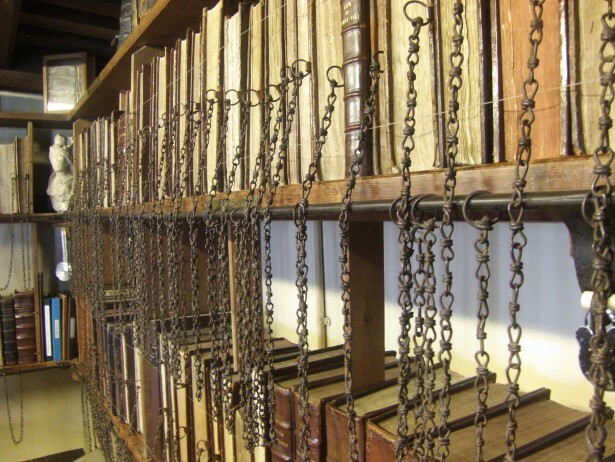 Medieval chained libraries are evidence that thefts from libraries are nothing new. The vulnerability lies in that increasingly, libraries have become the poor cousins of museums where under-resourcing has often led to poor documentation, security and out-dated system. 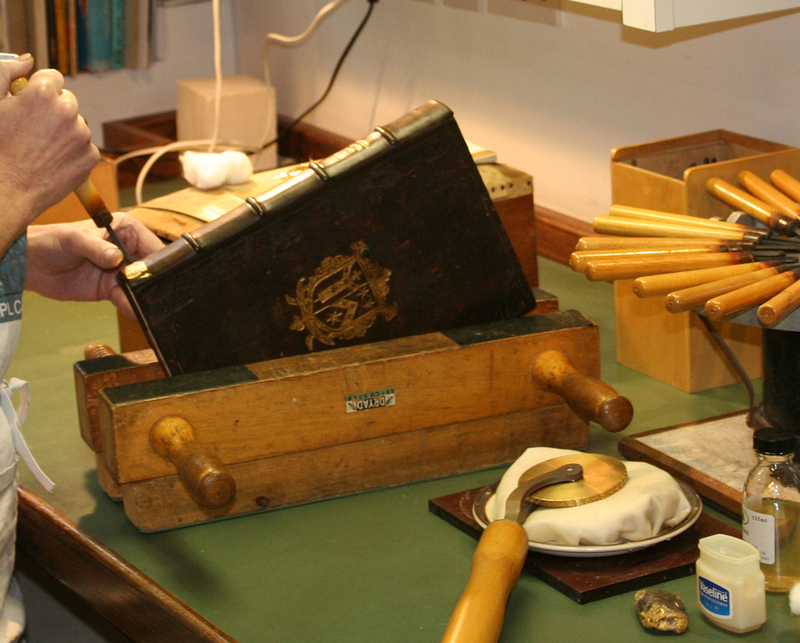 Libraries are clear that they want to remain repositories of information, not of artefacts. In an interview for The Guardian, Agnes Saal, Chief Administrator of the Bibliothèque Nationale de France said: “we can’t turn the BNF into a fortress … it would be incompatible with our mission. Unlike museums, our documents are there to be consulted …” (The Guardian; 28 June 2005) and, ironically, regular access to books can lead to both thefts and to discoveries of thefts because access creates a self-auditing process. 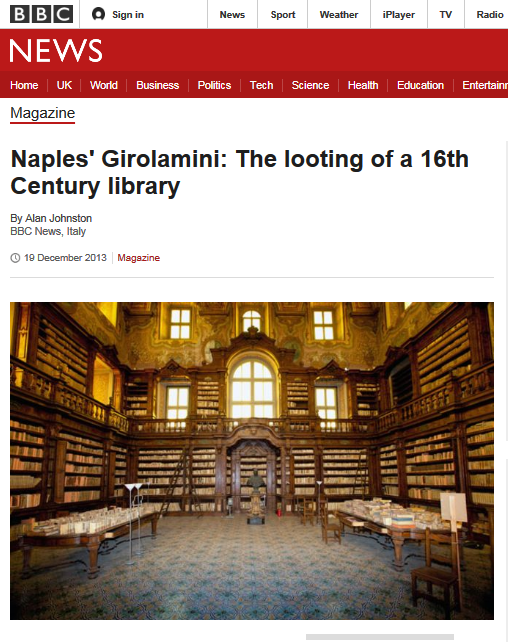 Denis Bruckman, Director of Collections at the Bibliothèque, said at the conference that some of the blame must rest with the libraries – too often they have kept quiet when books disappeared and he felt it was crucial that they alerted booksellers swiftly and publicly. This wasn’t a path followed by Lambeth Palace Library, even though it appears some books remain missing. They were keen not to publicly reveal the thefts until they had “some evidence of progress”. Declan Kelly, Director of Libraries and Archives for the Church of England stated during press interviews two years later in 2013: “we don’t want to cause any distress to anyone still alive and connected with the theft. We want to look forward not backward”; perhaps in recognition of some level of atonement from the perpetrator. I, in no way, wish to tar all librarians with the same brush – my comments here are simply to try to understand the tiny minority. Librarians are expected to be qualified, academic protectors of untold treasures; theirs is a discrete profession of relatively low profile. Frede Møller-Kristensen was the archetypal librarian described as being “a quiet, distrait, learned philologist, not exactly a skilled administrator but happy …”. Librarians are often not well paid and the continuing trend of under-resourcing, cuts and mergers may well be creating dissatisfied individuals with institutional grudges. Add to this equation the fact that the rare book market is now estimated to be worth $500 million a year, the vacuum between remuneration and material value may well be stoking temptation. Without the profession’s own gatekeepers rising to the challenge books from libraries will remain vulnerable. It was evident from the day just how easily these stolen books were “fenced” or “laundered”, particularly through Germany where current laws protects accredited auctioneers who may claim to have purchased books “in good faith”. 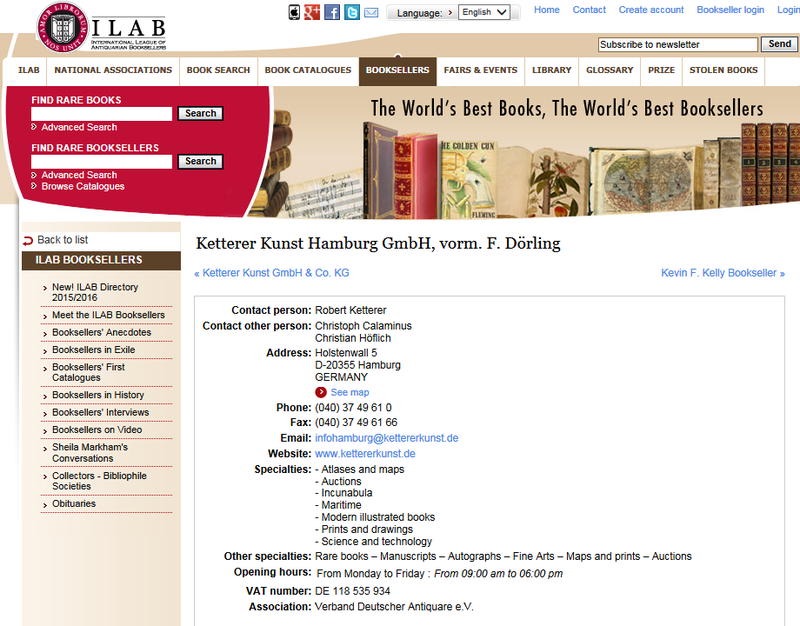 Despite their role in selling off part of the Swedish Library, the German auction house Ketterer Kunst remains a member of the International League of Antiquarian Booksellers (ILAB) who describe themselves as maintaining “detailed Codes of Usages and Customs” and that “individual booksellers are required to adhere to these.” Norbert Donhofer, the President of the ILAB, was asked during the conference why the League hadn’t expelled Ketterer; his response was unclear but it seems they do not have the legal clout to do so. In fact, unless the book is moving in or out of America (a country which vigorously prosecutes trafficking of cultural objects), there remains little legal recourse in claiming back the lost libraries. It was agreed at the conference that far too many dealers and auction houses turn a blind eye to books with dubious provenance or obvious signs of tampering. Of course, as with librarians, unscrupulous dealers are the minority. Stephen Loewentheil, founder of The 19th Century Rare Book and Photograph Shop, described how he paid $800,000 for an eight-page segment of The Book of Esther from The Gutenberg Bible, in part to ensure it would not be sold page by page: “I want to be part of the legitimate chain of history, not the illegitimate one,” he said. As always, this conference opened up more questions for me than it answered. What happens when that tipping point is reached where the information contained in the book is of less importance than the value of the book as an artefact? Does that book become strangely “disenfranchised” and does it make knowledge a commodity – a shelf of rare books becomes like a cellar of fine wines? I appreciate that placing a value on knowledge is nothing new, books have always been a symbol of wealth, learning and elitism – they appear in a number of Holbein’s portraits of his humanist friends; and even now portraits of academics, clergymen, politicians, musicians and writers often place the sitter in front of shelves of books. As the gap widens between increasing access to digital knowledge and decreasing access to the printed book – particularly if books are rare and access to them is either denied or heavily censored – is there an emergent pattern of books becoming skeuomorphed – increasingly valued only for their decorative dust jackets, leather bindings and cultural symbolism? 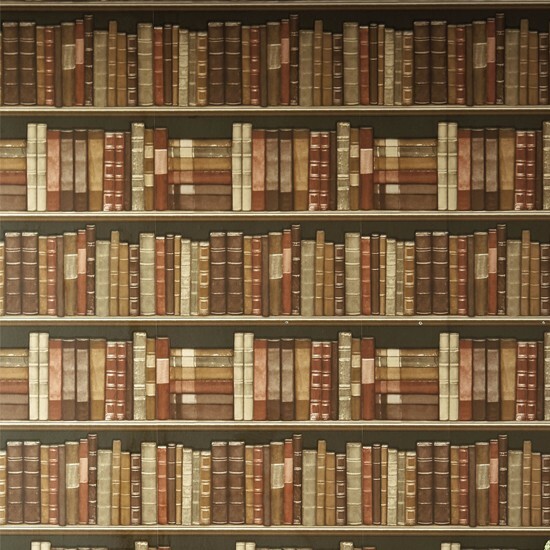 You don’t have to look very far to find examples of wallpapers of books and packs of fake leather book spines. Finally, during a brief escape at lunchtime to clear my head and because I knew absolutely no one at the conference, I wandered across the courtyard and into the glorious interior of the British Library. 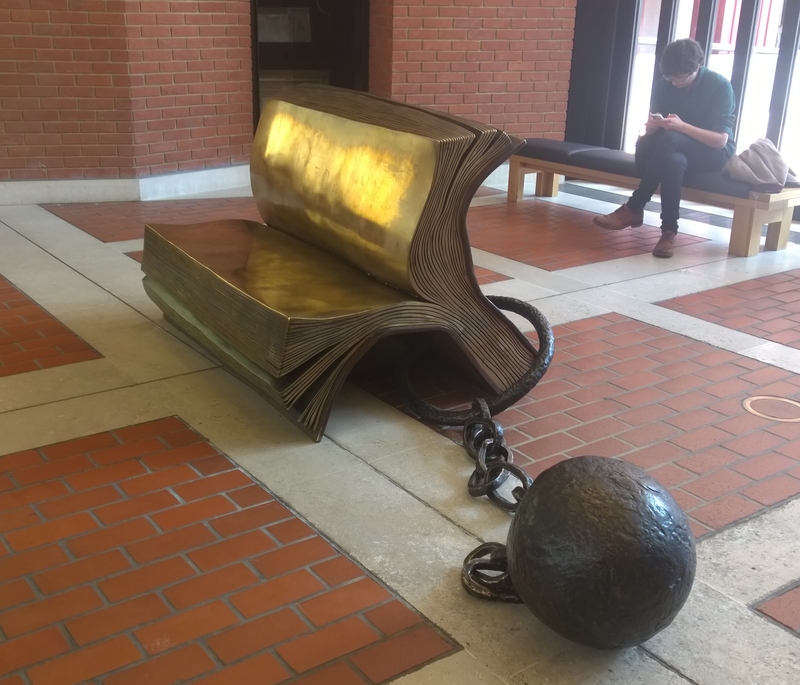 I found myself contemplating Bill Woodrow’s Sitting on History – “The sculpture, with its ball and chain, refers to the book as the captor of information from which we cannot escape“. For me it also seemed a perfect visual commentary to the themes discussed at the conference and a reference to those medieval chained libraries. James P. Carley’s article in The Spectator: The repentant book thief of Lambeth Palace can be found at: http://www.spectator.co.uk/books/8884141/a-turn-up-for-the-books/. I write these blogs to distil and hone my thoughts – it’s a useful process for me; I hope you found this interesting and thank you for reading it. 15th July 2015: The British Museum – ducking the questions?